Our Grand Opening celebration is featured on the SNAP Markham website for the month of June 2014. Corporate Health & Wellness Days! Markham Chiropractic + Rehab is committed to the health of the residents of Markham, Richmond Hill and Stouffville. Our Markham Chiropractic office offers complimentary Corporate Health & Wellness Days where our team can come to your work or church to provide postural screenings and/or a lunch n’ learn wellness seminars for your employees. With healthy employees, it will result in greater productivity and professional and personal development. 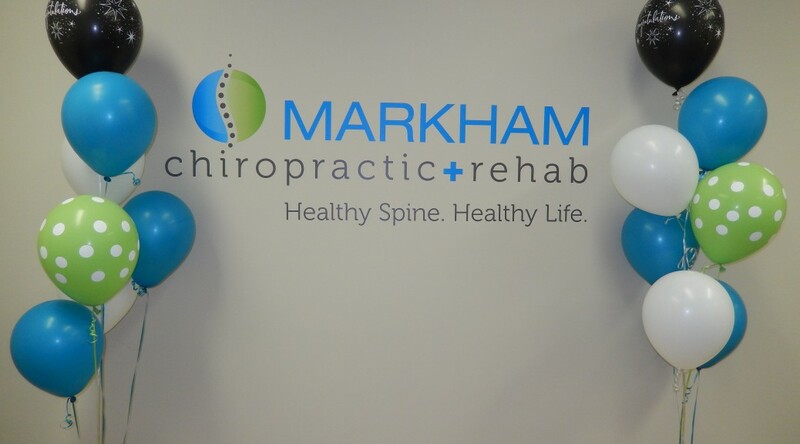 Interested in having Markham Chiropractic + Rehab come to your work or church? Call our Markham Chiropractic office at 905-554-2118 to learn more about our program!